The Ransom Rest was courtesy of Brownells, Inc. (Part # 164-100-008 with Ruger Grip Inserts)We couldnÕt have done this project without their assistance. Setting up the Ransom Rest was more difficult than expected. To be accurate, the Ransom Rest must be immovable. The problem was there was no immovable place to mount it at the Tejas Pistoleros Range. Jake Cutter kindly built a mount in concrete. I had intended to put the chronograph between the mount and the 25 yd target and redo the chronograph testing from April as I shot groups. This didnÕt prove feasible at this time, but IÕll probably manage it for further test sessions. For the purpose of ease of use, IÕve combined April chrono test results with June accuracy testing. Why 25 yds? ArenÕt SASS targets supposed to be close and big? Yes. Unfortunately I shoot at clubs that do 25 yd pistol targets. 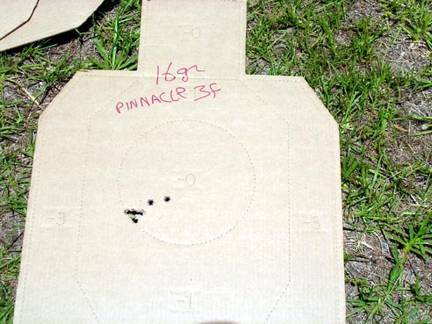 In any case 25 yards is the standard, and it takes that much distance to show much difference between loads. Best load in each group is highlighted in blue. Worst is highlighted in pink. There were some surprised. The Òfull caseÓ, or 34 gr. volume loads were expected to be the most accurate. Of those I expected Cowboy to be the most accurate because of the low SD. Instead, the 16 gr. loads were considerably more accurate. Pinnacle was almost as accurate as Trail Boss. APP and 777 were not included in the Òreduced recoilÓ load testing since both manufacturers prohibit using wads or fillers. In the percussion pistols, APP, which had not been impressive in cartridtges, was best overall. The 20 gr. loads were expected to be less accurate because of the extra bullet jump since the bullet was further from the forcing cone. But the Cowboy load was about the same as the 30 gr. Cowboy load. The other groups grew. Conclusion: If the match director throws in long range pistol targets, use 30 gr. The Ruger Vaquero used is 6 years old and has had extensive shooting. The forcing cone is stock, and the base pin is stock. 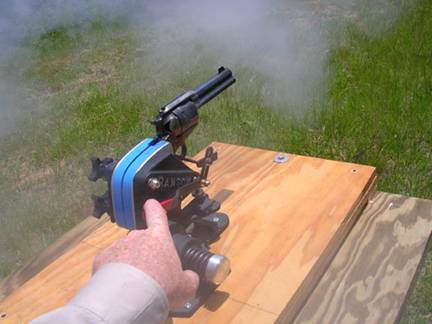 Best case results were comparable to published accuracy test of Ruger Vaqueros. Obviously ammunition makes a big difference. In the percussion testing, the substitutes used no lube, but Wonder Wads were used with Cowboy. 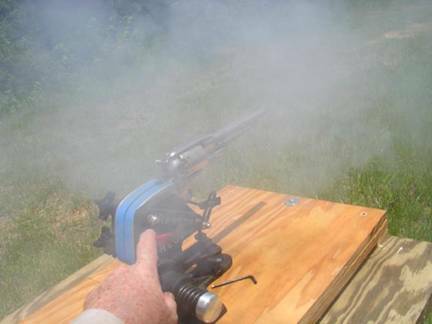 The bore was swabbed after using Cowboy and periodically during testing. ´ou canÕt estimate accuracy from chronograph testing, but it helps. All of the loads are acceptable for speed shooting like SASS . Some are not what IÕd choose for anything over 15 yds., though. The difference between best and worst is considerable. 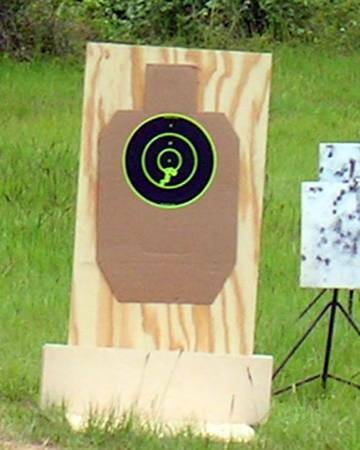 A Ruger Vaquero with no accuracy enhancement is pretty accurate with the right load. Chronographing and accuracy testing this many loads takes a long time. Your results may vary. You wonÕt know without testing in your own guns.